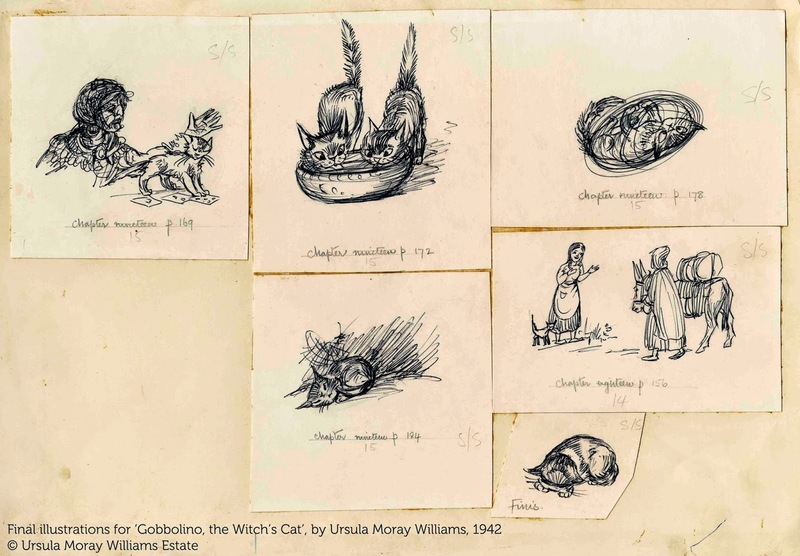 To celebrate the first Halloween we have had since the Collections Blog began, we have pulled out some of our favourite spooky items from the archive. 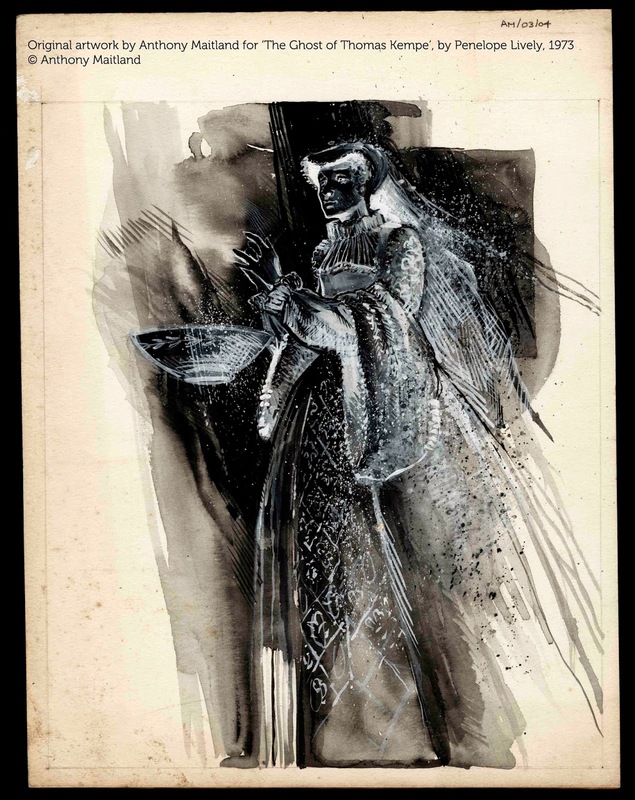 We present you with a mix of eery illustrations, terrifying typescripts and disquieting dummy books - enjoy! To find out more about the terror-ific goings on at Seven Stories this Halloween, click here. Seven Stories current exhibition, Moving Stories, children's books from page to screen, has been on show since April 2014, and features some of the most well loved and innovative adaptations to grace our screens. One of our absolute favourites is the Martin Scorsese adaptation of the beautiful book The Invention of Hugo Cabret!, written and illustrated by Brian Selznick. This area of the exhibition has been captivating visitors to the building for months, and the stunning display of costume and behind the scenes photos from the film has been a real highlight. On the blog today, Brian has very kindly shared some new pictures of the creation of Hugo exclusively with the readers of the Seven Stories Collection blog. All the images and comments below are straight from Brian. This is a view of the inside of my flat files, where I keep most of the Hugo drawings and dummies. This is dummy with a rough draft of the drawing of Isabelle. You can see how small they are by comparing them to the size of my hand in the photo. They are about 1/4 size of the book. 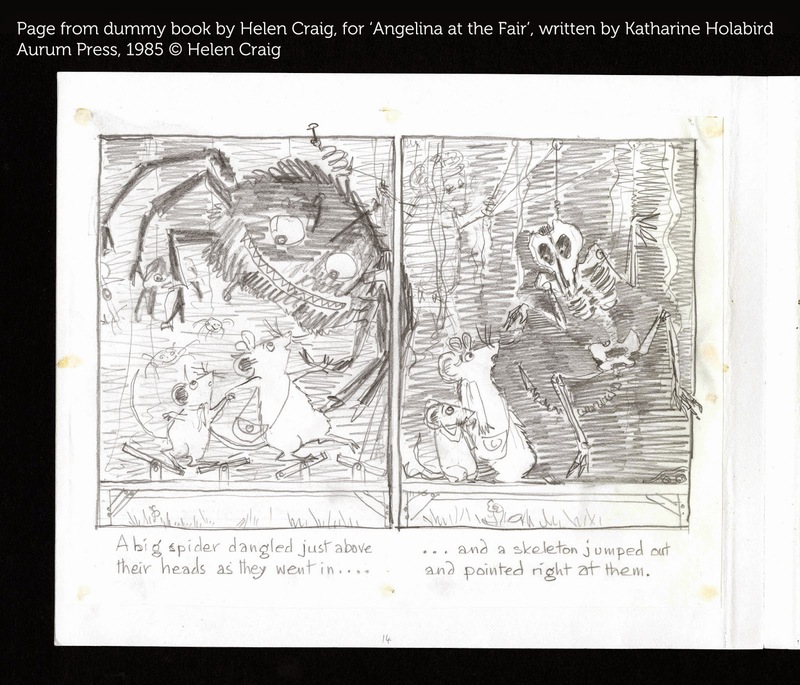 This is the dummy with a sketch of Hugo from the beginning of the book. This is an actual drawing done by the real eighteenth century automaton that I researched for Hugo. The automaton can be found at the Franklin Institute, and when I first discovered him, he was no longer on display, as he'd broken many years earlier. While writing Hugo I met a mechanical genius named Andy Baron who helped me get all the clock and machine descriptions correct. I introduced Andy to the curators at the museum, and now the automaton is fixed and on display again. 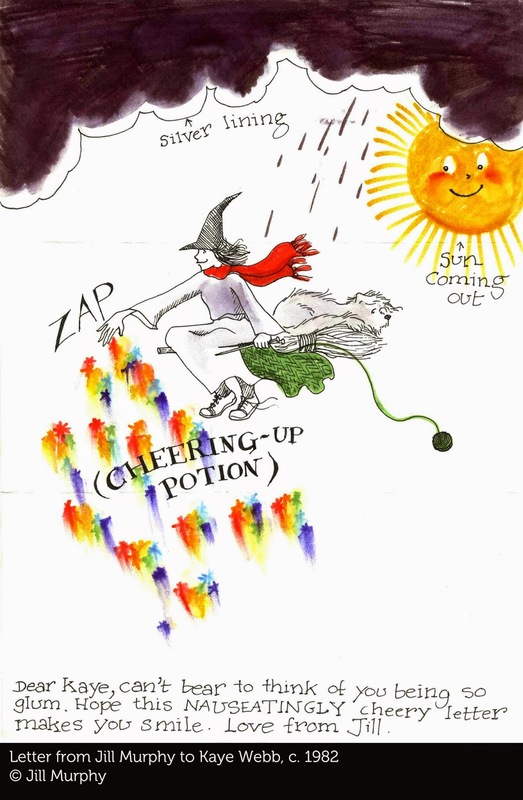 And to see a film of Brian and Andy demonstrating the automaton actually drawing, click here. This is a rough sketch of Hugo winding the clocks. You can see notes I've written to Andy Baron asking if they machinery is correct, along with several other notes to my editor. 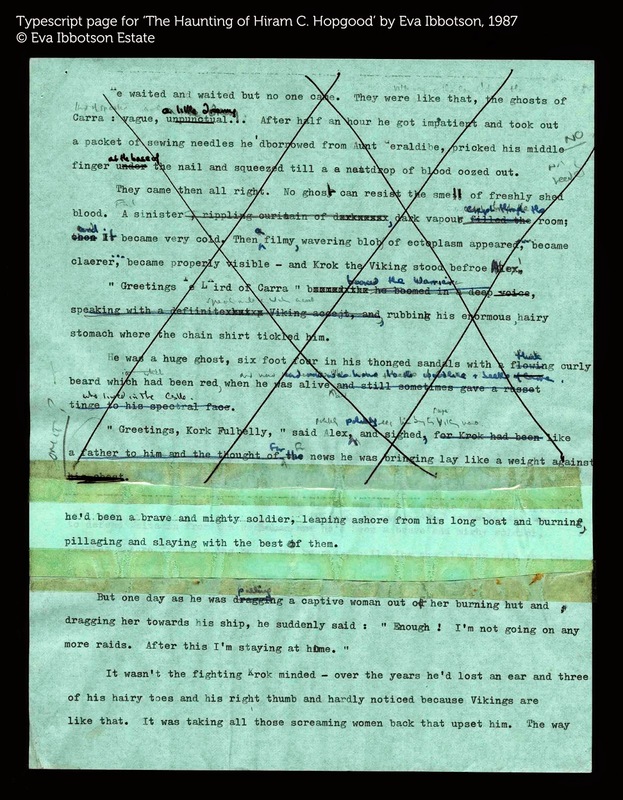 Here is a sketch cut from the end of early drafts of Hugo, along with an early cover design. You can see that the title wasn't always The Invention of Hugo Cabret! Very few final pieces of art are cut from the finished book. Usually I remove drawings while they are still in the rough draft stage. But here is a finished drawing that didn't make it to the final story. Originally, when Hugo was walking across the graveyard to Melies's house, he was going to pass this gravestone with his own name on it. I hoped the reader might think for a moment that Hugo was a ghost, which would add to the mystery, and only later would we find out that Hugo's father had had the same name as him, and this Hugo Cabret was the dad's grave. But for obvious reasons I thought this might get a little confusing, so I cut it. To find out more about Brian Selznick, visit these websites www.theinventionofhugocabret.com and www.wonderstruckthebook.com. 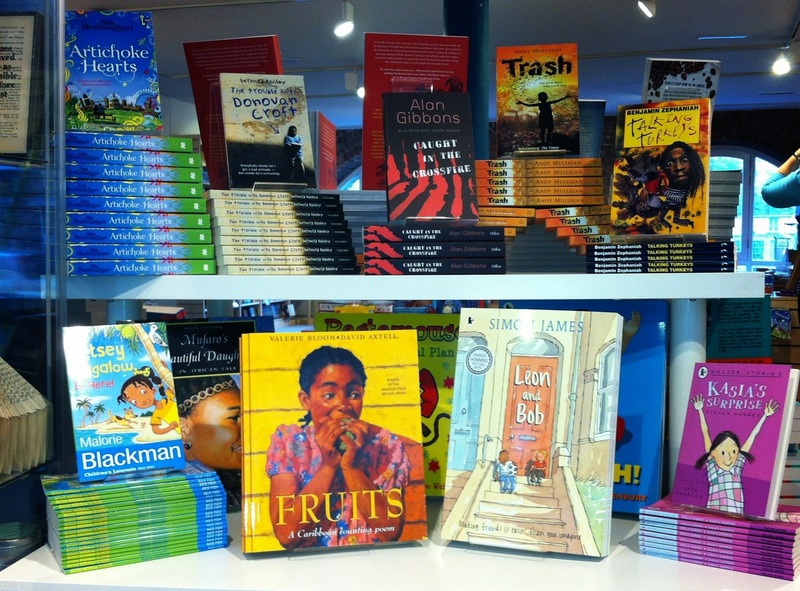 For more information about the Moving Stories, Children's Books from Page to Screen exhibition, click here. The exhibition runs until April 2015. Moving Stories was curated in partnership with the National Media Museum, to find out more about them, visit this link. 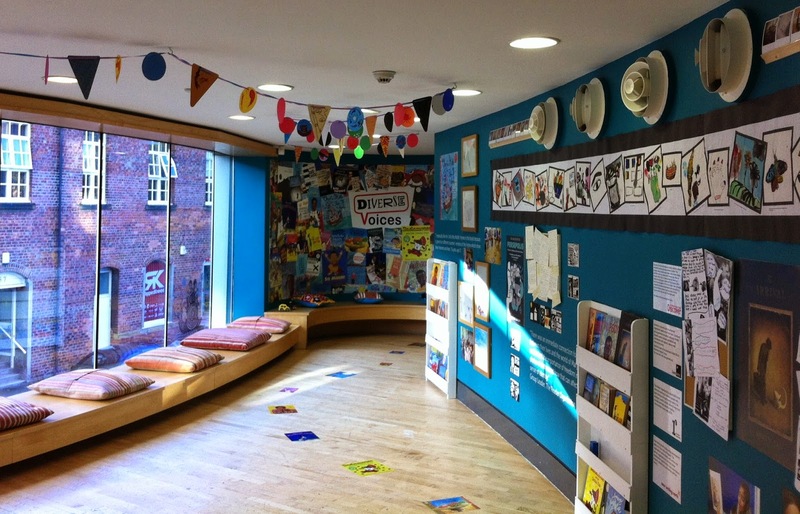 Earlier this summer I was offered the amazing opportunity to work on an exhibition to showcase the Diverse Voices Project, putting the spotlight on the 50 best children's books since the 1950s. 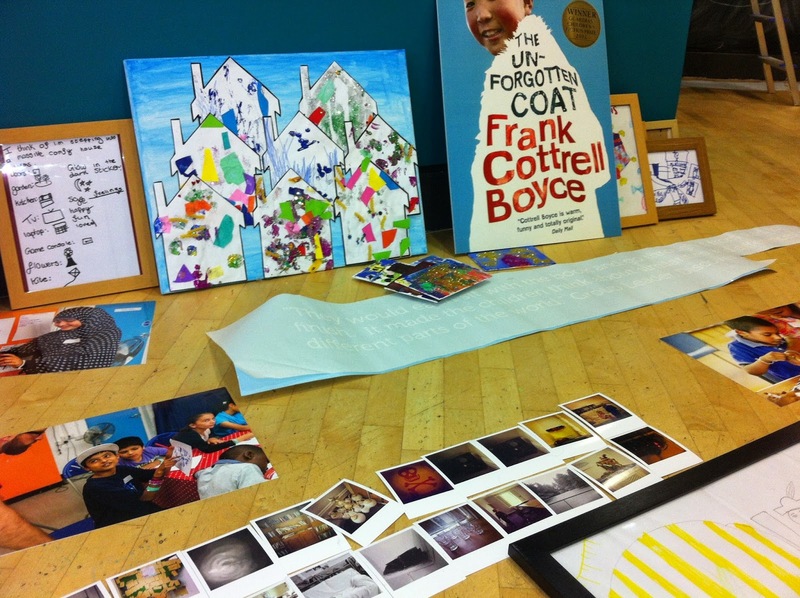 Four groups, New Writing North, The Reader Organisation, Gem Arts and the Discover Project immersed themselves in books from this list with support from our Learning and Participation team and made their own artistic responses. I spent an illuminating afternoon visiting Gem Arts in Bensham taking part in a wonderful book sharing exercise and working with a multi-generational group led by artist Jayamini de Silva. We created art works inspired by the books around the theme of 'home'. Last week our Bookshop set up a display to celebrate these inspiring books and I began to install the exhibition. The groups' responses to the books were amazing and diverse. It was fascinating to see the artwork all together and begin to collate it visually. Although the books are childrens' books, not all the people involved in the project were children. 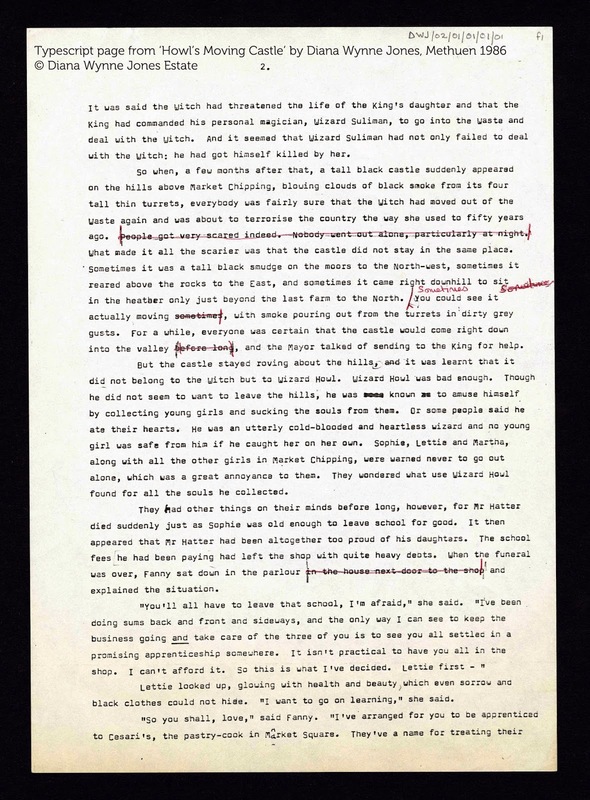 These journals were written by young adults from New Writing North. After several months of careful planning the artwork was framed, the props chosen, the Bookden repainted and it was time for the work to go on the wall. 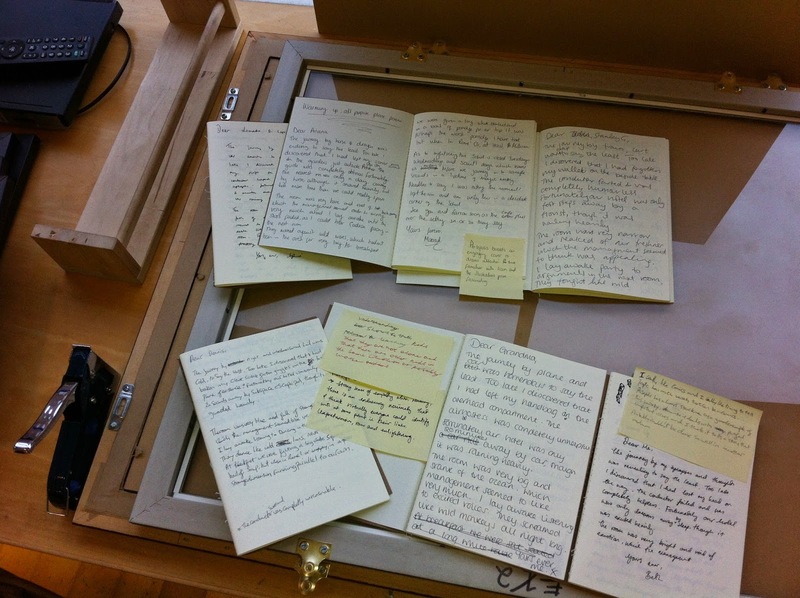 The exhibition is on display in Bookden until Summer 2015, with copies of all the books ready to read. Visit the exhibition and dive into the wonderful world of Diverse Voices. To find out more about events linked to Diverse Voices, visit out What's On page here. 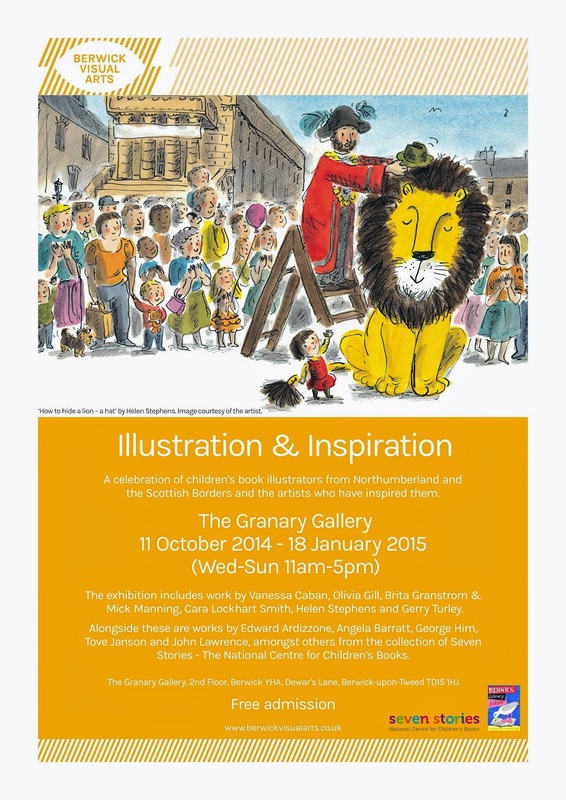 Over the past few months, we have been working with the curator of the Granary Gallery in Berwick, on their new exhibition 'Illustration and Inspiration'. 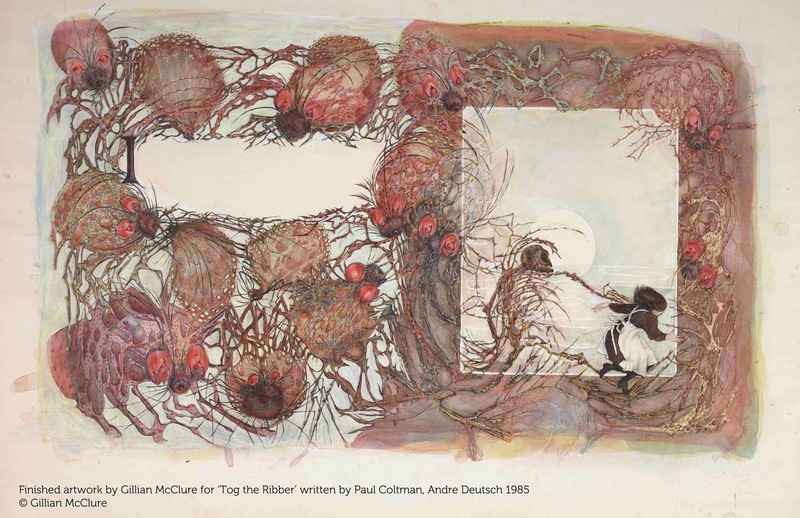 Opening to the public on Saturday 11 October, and running until Sunday 18th January 2015, the display celebrates the extraordinary wealth of acclaimed children’s book illustrators from Northumberland and the Scottish Borders and the artists who have inspired them. The exhibition includes works by Vanessa Cabban, Olivia Gill, Brita Granstrom & Mick Manning, Cara Lockhart Smith, Helen Stephens and Gerry Turley. 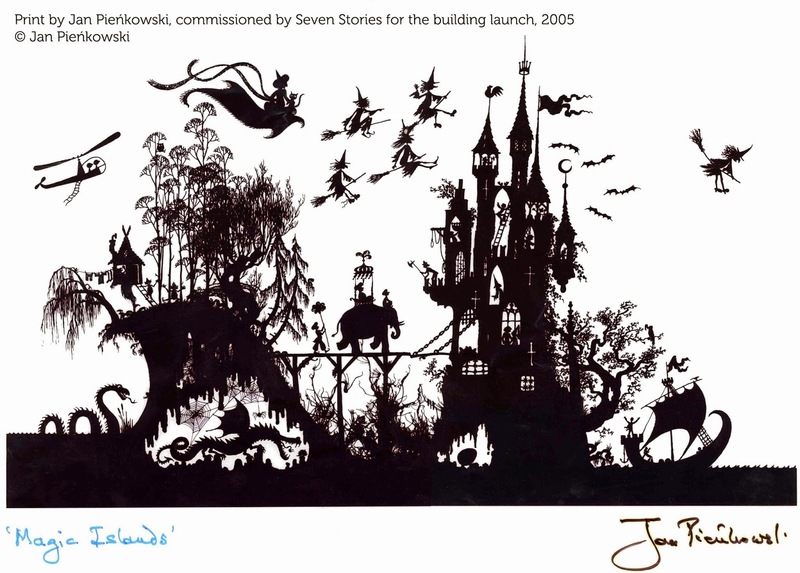 Each of the illustrators have also selected work from the Seven Stories collection by illustrators who have inspired them or had an impact on their creative practice. 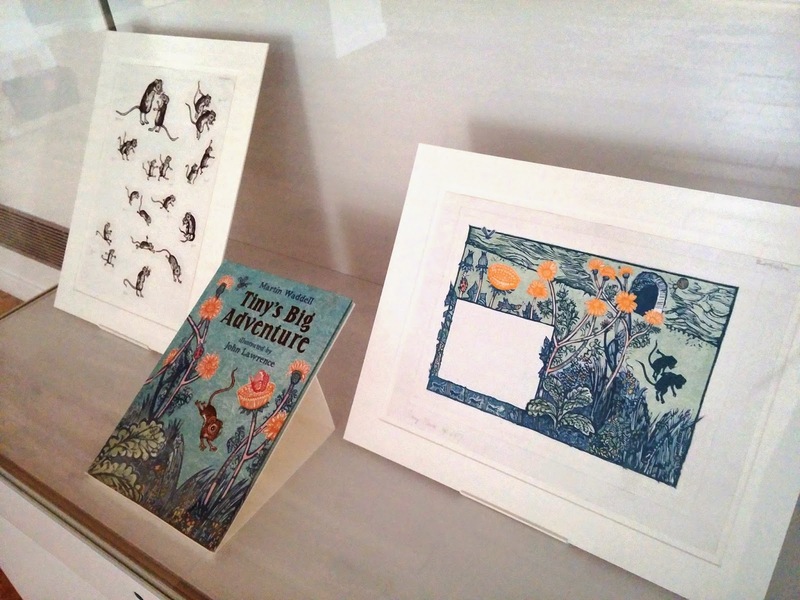 Artwork on loan includes work from the archives of some of our most prestigious illustrators, and it has been an interesting exercise looking at our collections through the eyes of practising illustrators, to see what and how certain artists have inspired them over their career. Lindsey, the Seven Stories conservator, putting the final touches to one of the display mounts. Artwork by John Lawrence for 'Tiny's Big Adventure' by Martin Waddell. These two pieces on display offer the opportunity to try and match up the images - the mice in the left picture should fill the voids in the right! 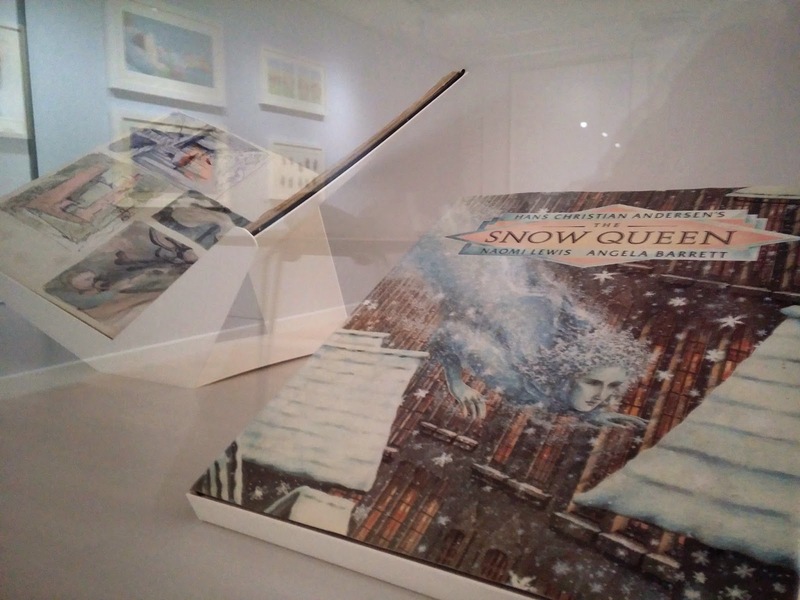 Stunning artwork for 'The Snow Queen' by Angela Barrett, on display are a finished original piece of artwork, a first edition copy of the book, and Angela's fantastic sketchbook. 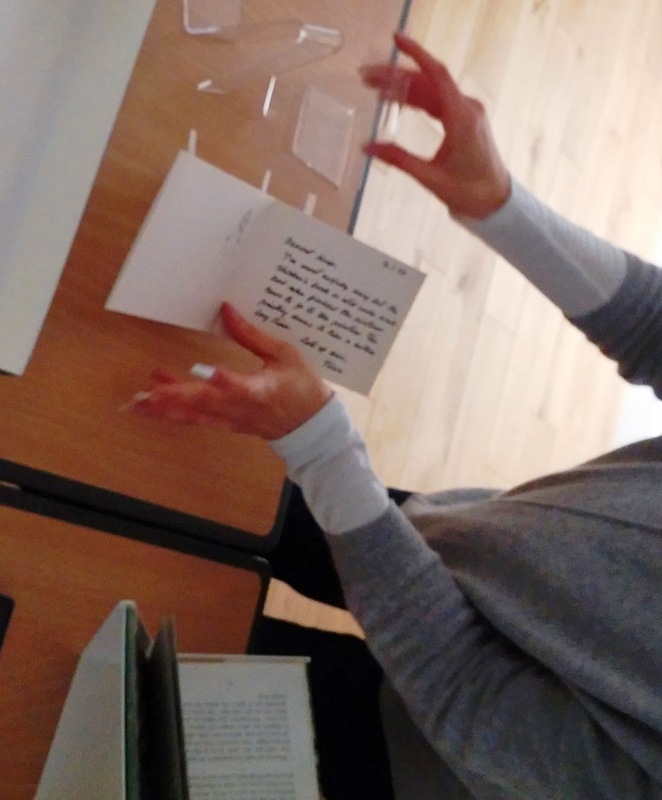 To find out more about visiting the exhibition, click here and to find out more about the Berwick Literature Festival click here.